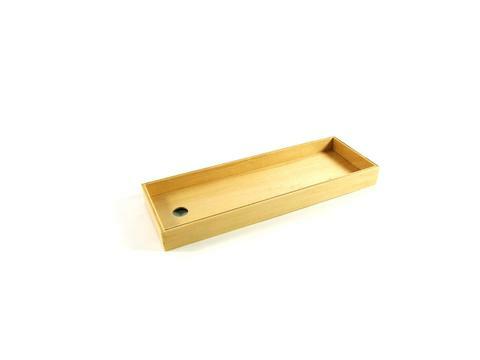 The Brush Tray helps to keep your brushes protected in transit. It fits perfectly under the sliding palette while leaving room in the Guerrilla Box™ or Hinged Front Guerrilla Box™for storing other supplies underneath it. The Brush Tray will hold the Hang-Up Brush Caddy™ with your brushes in it for a simple solution to keeping brushes protected and accessible. 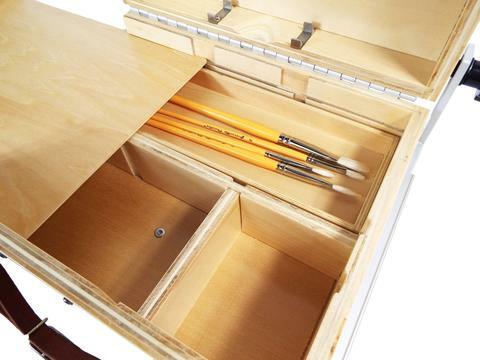 When the box is in use clamp your Brush Tray to the side of your Guerrilla Box™ or to the end of the palette to expand your work space while painting. 12" x 4 1/2" x 1 1/8"
12" x 4.5" x 1.125"